DELEGATES to the second quarterly meeting of the Football Federation Papua New Guinea (FFPNG) in Port Moresby recently unanimously agreed to stick together for the sake of football in the country. FFPNG president John Kapi Natto yesterday said this when updating the media on the way forward for his 12-member association. 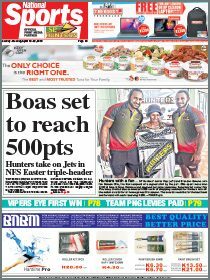 He said the meeting also endorsed the FFPNG calendar and also its flagship, the National Premier League (NPL) competition, which will be officially announced before the end of the year. Kapi Natto said they also reviewed the structure of football to bring in youth competition for all affiliated member association. 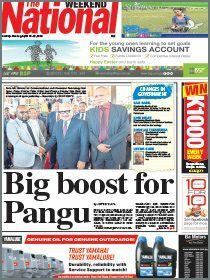 “Youth competition is compulsory for any association who wants to be a member of FFPNG family,” he said. Kapi Natto said FFPNG was moving forward and had support from all corners of the country. While accepting criticism, Kapi Natto warned people who were guests in this country to stay out of football politics and concentrate on their paid jobs. He said FFPNG was established because people who have other motives did not want to listen to the majority of the mandated football associations. Kapi Natto said he was proud that the inaugural season of Football Federation Papua New Guinea was a hit despite doubts that it would succeed. “We are looking forward to a bigger and better one in the coming season,” he said. Kapi Natto said he has appointed four coordinators for the four conferences and they were working around the clock to spread the gospel on Football Federation Papua Nre Guinea and the National Premier League. He confirmed there were talks going on between the two opposing parties for the way forward and the good of football in the country.